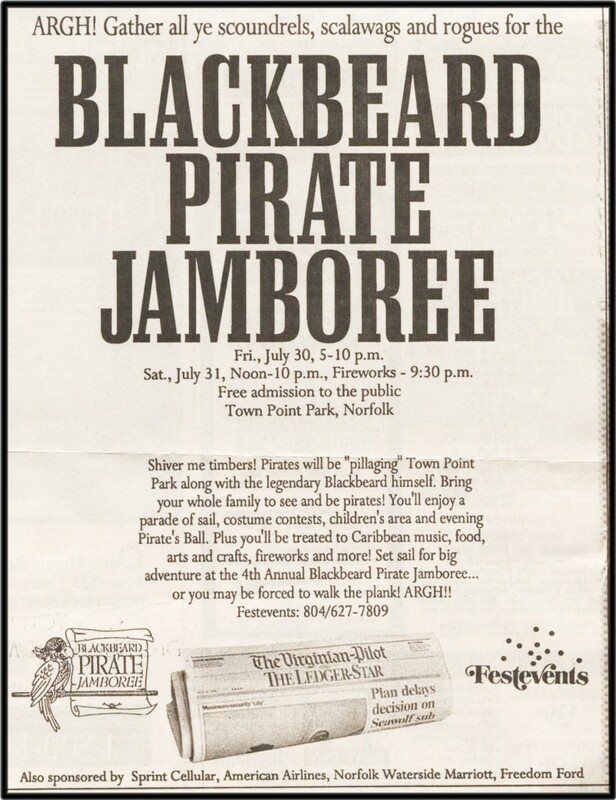 In the course of my 25 years of variety entertainment I've also been a unique "Pirate" known professionally as "Johnny Rotten, the Scourge of The Chesapeake Bay" many tgimes, beginning back in the days of Norfolk Festevents' "Black Beard's Jamboree", where I shared stage as "Black Beard's" right-hand rascal." 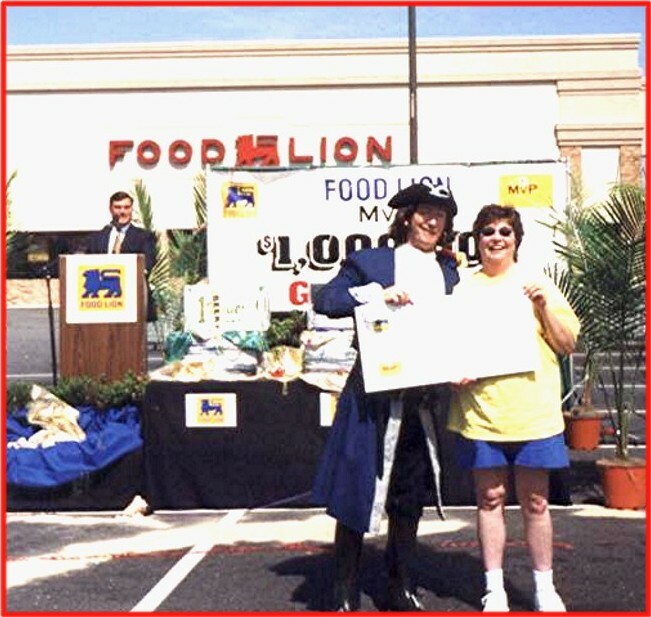 From my many appearances, national grocer chain Food Lion engaged me to be their pirate emcee for their "MVP Million Dollar Treasure Chest" drawing, also in TV spots and for helping their CEO emcee the actual drawing of the winner. 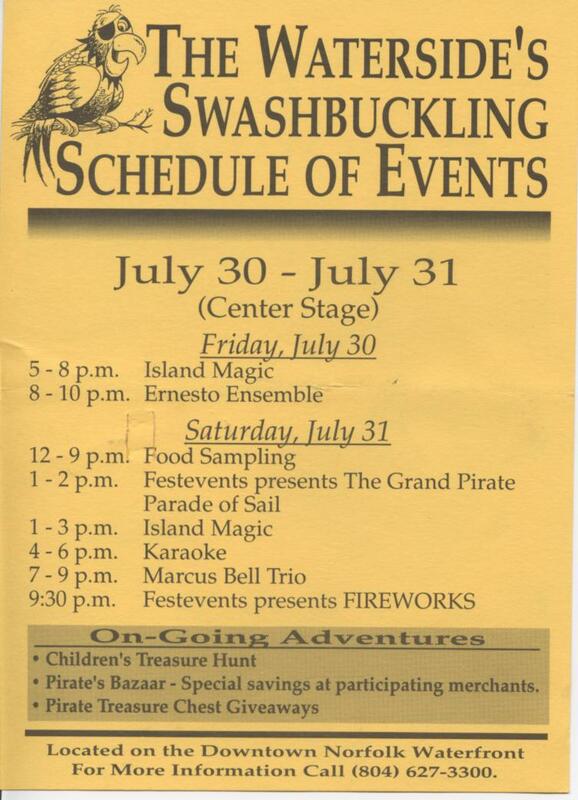 So, if a picture's worth a thousand words, take a look! 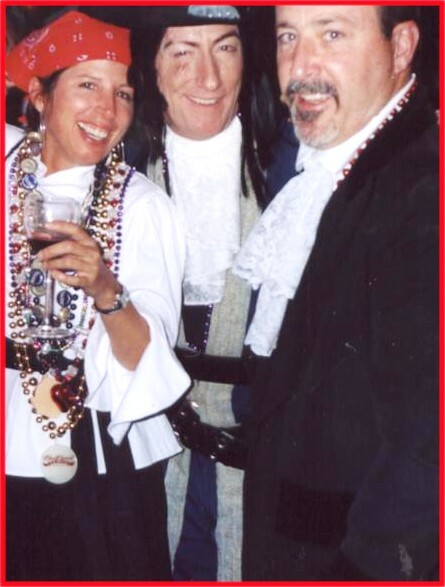 Pirate "Johnny Rotten" ( center, winking) ) in this fun "Pirate's Party" for Carrabbas Italian Restaurant's corporate party at Mariner's Museum, New Port News, VA. .Over 200 "manager pirates" had a grand gangplank of a time! 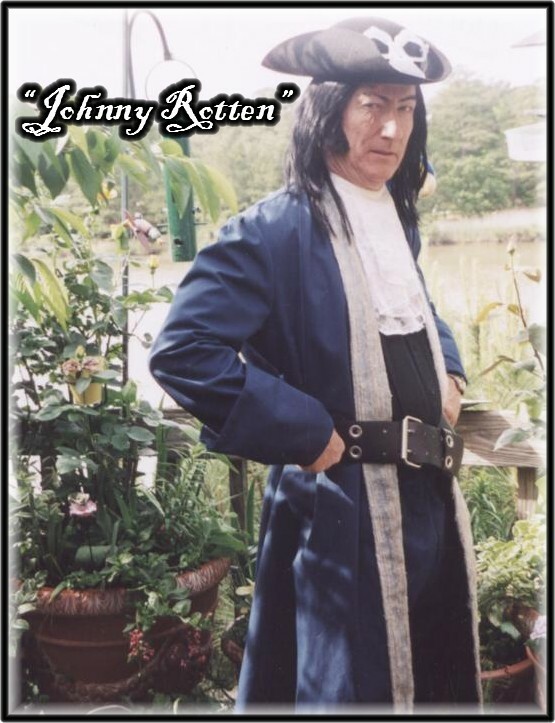 See the big scar over "Johnny's" right eye and cheek? 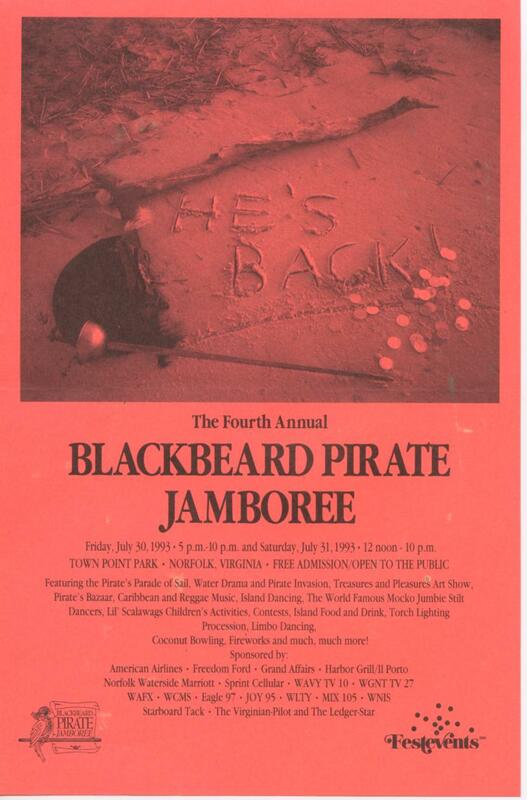 It's a "memo" from Blackbeard! 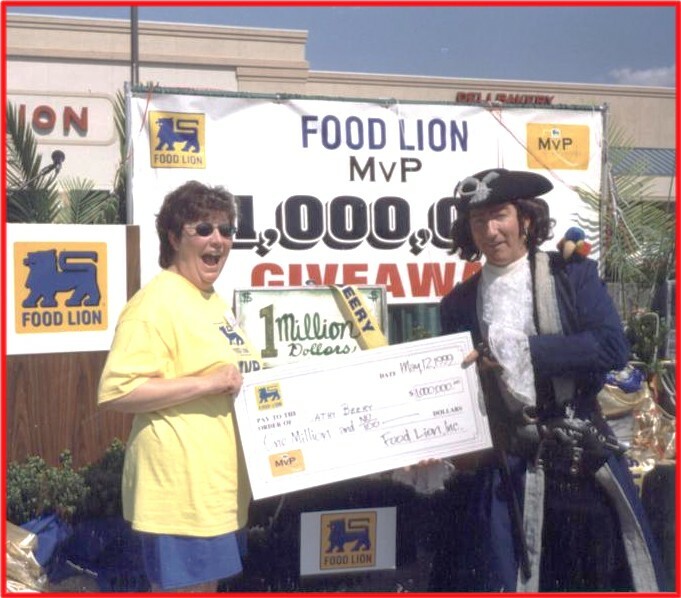 Food Lion's "MVP Million Dollar Treasure Chest" winner Kathy Berry receives the $1,000,000 check from "Johnny Rotten." Blimey!!! That's quite a bit of booty for sure!!! 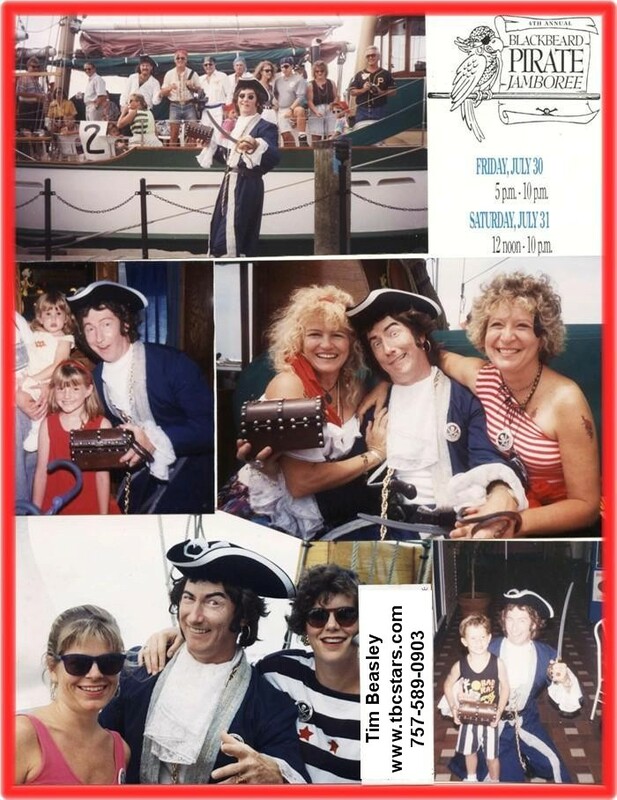 Nationally licensed and insured entertainer - company since 1986, providing musical - comedy and interactive entertainment and emceeing for a wide variety of festivals, civic events, corporate events. 757-589-0903 Please call, we love to talk!